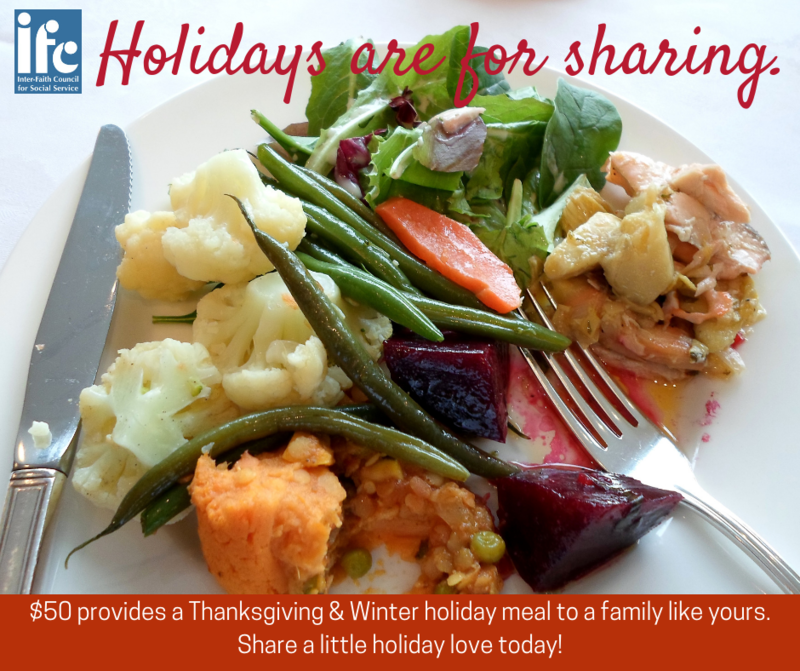 Your gifts provide a Thanksgiving and winter holiday meal to 350+ local families. You make sure our neighbors have enough to eat and reduce stress so that families can enjoy each other's company around the table during a special time of year. Each family receives their choice of turkey or ham, plus sides like sweet potatoes, apples, collard greens, cornbread mix or rolls, canned corn, canned green beans, and dessert. Thank you for sharing the holidays today.